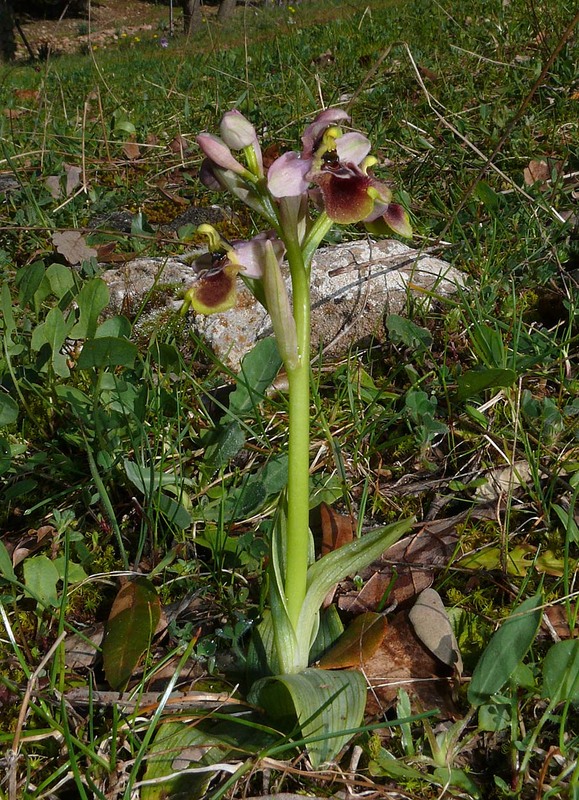 O. aprilia was first described by Devillers and Devillers-Terschuren from Bonaficio, Corsica in 2003 and its name refers to the month of April, this being slightly misleading as the species commences flowering during mid to late March. 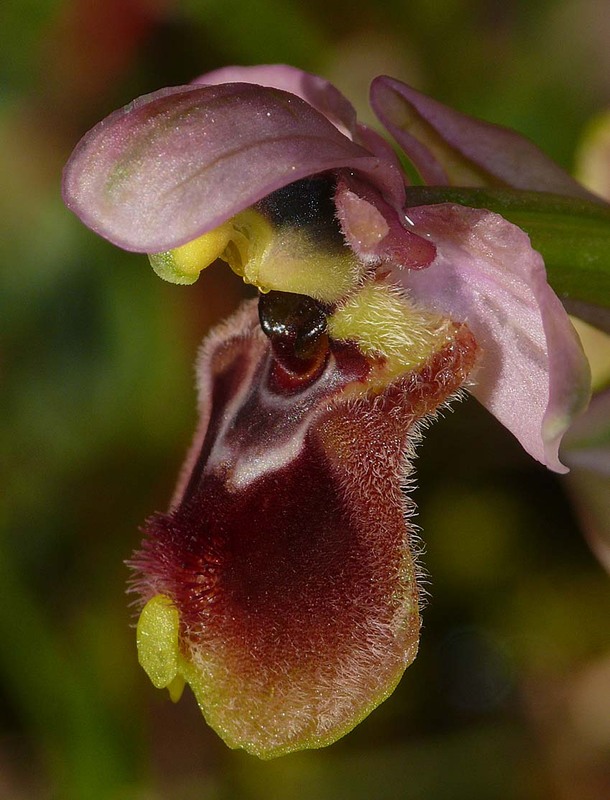 It is a member of the O. tenthredenifera group and one whose provenance as a full species is not fully accepted by many authorities. The range of O. aprilia is similarly unclear, some regarding it as confined to southern Corsica whilst others accept it as also present, albeit less commonly in northern Sardinia. 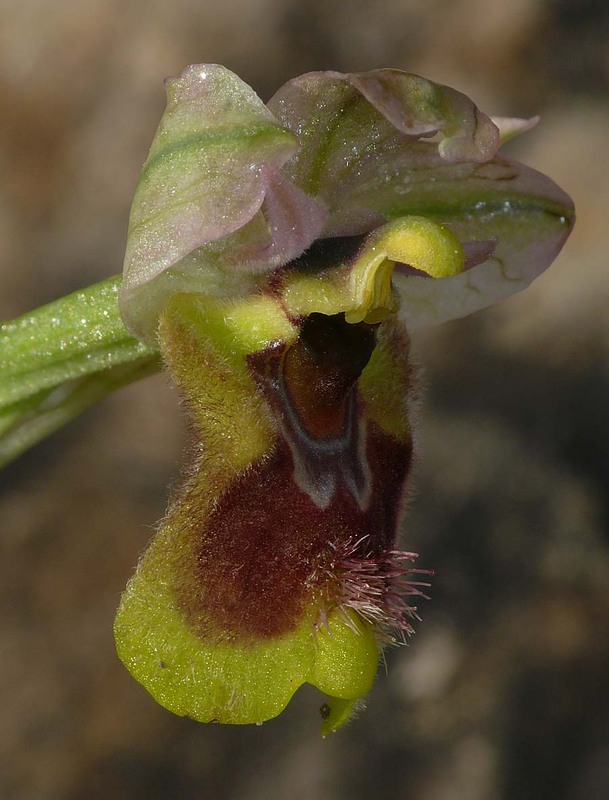 In the view of the authors it does exist in Sardinia and explains the presence on that island of the occasional but quite distinct, large O. tenthredenifera group plants that do not conform at all to the more widespread O. neglecta or rare O. normanii. 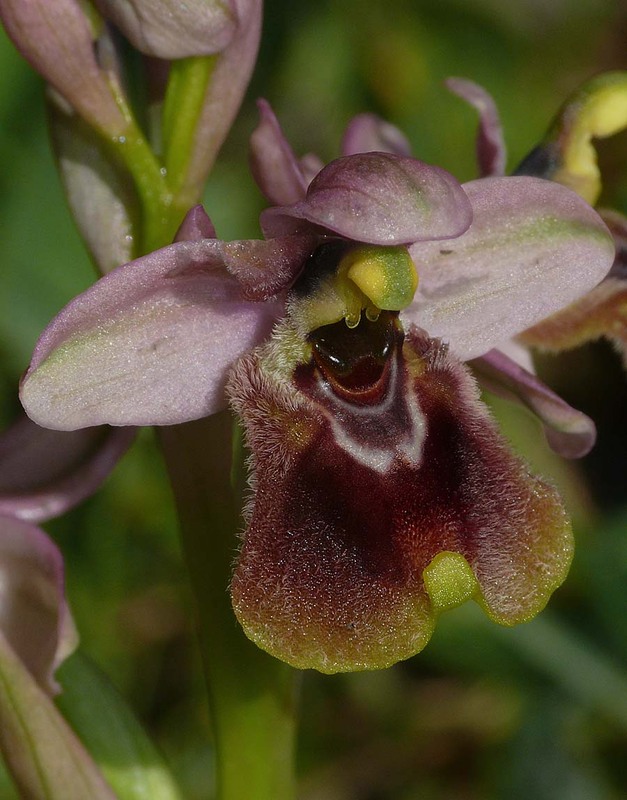 O. aprilia is a sturdy, large flowered orchid that is usually more hirsuit than O. neglecta and with a lip that has a broader area of dark brown colouration, sometimes being completely so. 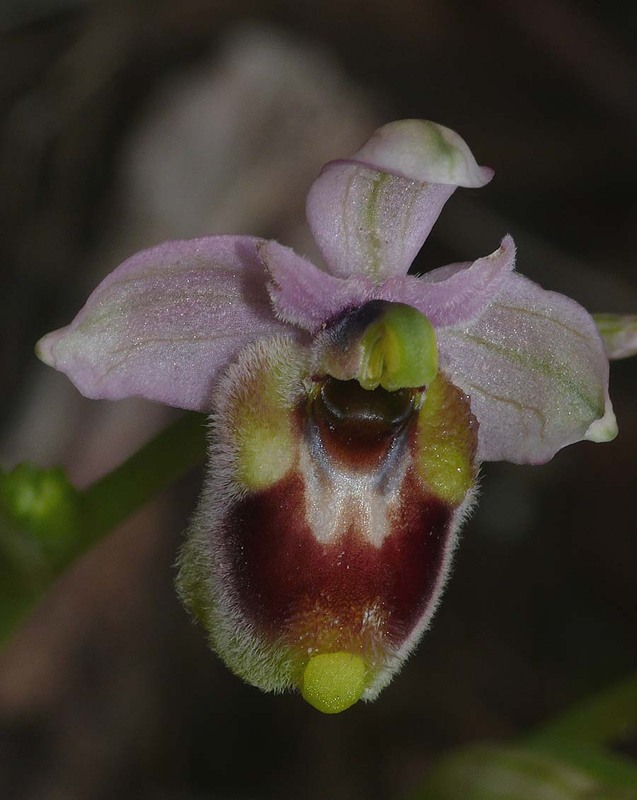 O. aprilia is similarly proportioned to O. normanii but whereas the latter species has a black stigmatic cavity and matching basal field, the basal field of the former is always red, as with O. neglecta. 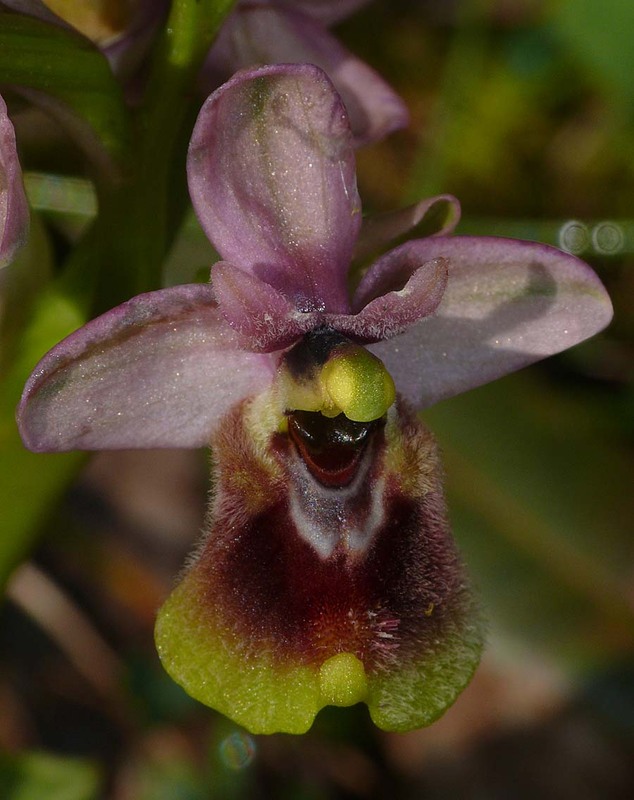 The sepals of O. aprilia are green veined, varying from pale to dark pink and generally rather longer than the stubby, rounded sepals of O. neglecta. 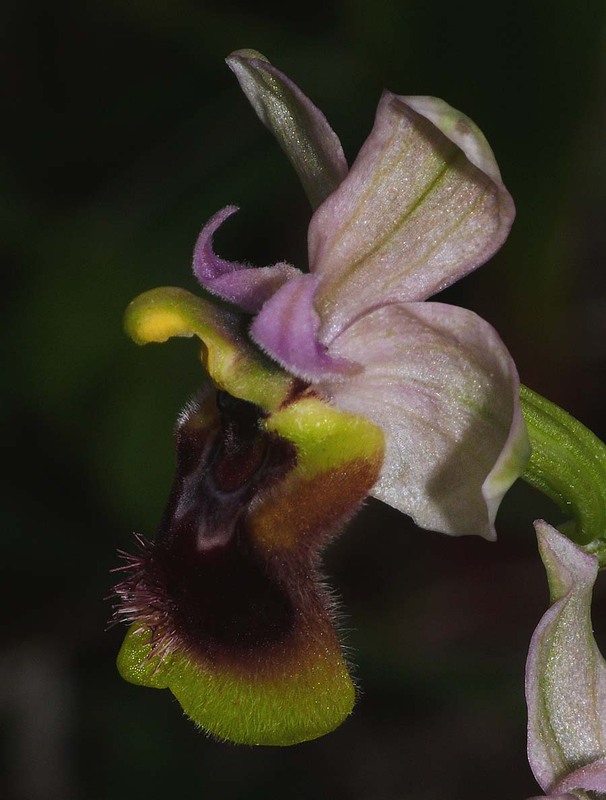 As already mentioned, it is an early flowerer, often appearing two weeks before O. neglecta from mid March. The pictures come from the Laconi district of central Sardinia and date from the second week of April at which time flowering was well advanced.